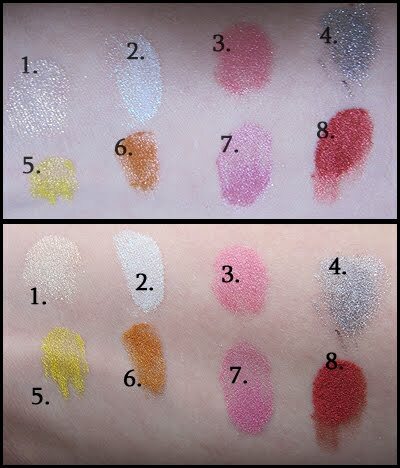 Swatch: Lime Crime Eyeshadows - Cherry Colors - Cosmetics Heaven! 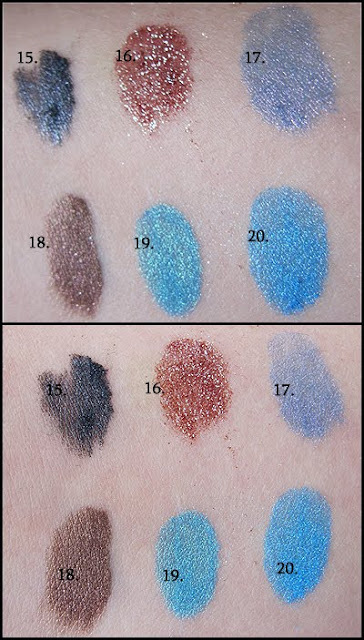 EDIT: I have decided, that it's about time for me posting the LC swatches. And I mean better quality ones. Just applied dry. My thoughts about LC have changed a lot in the last 6 months. If you're curious what I think now, you should check the end of the post. I've kept those pictures for some time and today I wanted to share them with you. Let me introduce you the majestic eyeshadows of Lime Crime Make Up line. They are amazingly pigmented, so a small bit goes a long way! I have quite a lot of them, but since I use them every day, I have an excuse ;). They're perfect for everyday look, night look and so on. You can't miss with them! The upper photo is inside light, and the lower is outside light. All images are clickable! Those are the 2nd kind of mineral eyeshadows I've tried. The others are Sweet Scents, and Lime Crime eyeshadows are so much more pigmented! I love them! It's great to combine them with regular makeup (like light browns etc), for an everyday look! The price of each eyeshadow is 12$. I'd really really love to get Empress and Vixen Eyeshadow. They're on my Wish List. When they got out it way my main goal to get every single eyeshadow they had. Haha, weird huh? Well, I got most of them but not all. Now I'm waiting for the new lipstick line, and then I shall write a nice review of all the things I own from them! But let me tell you, pixie dust is my holy grail. It makes my skin look flawless and honestly, I can't live without it! I love them. 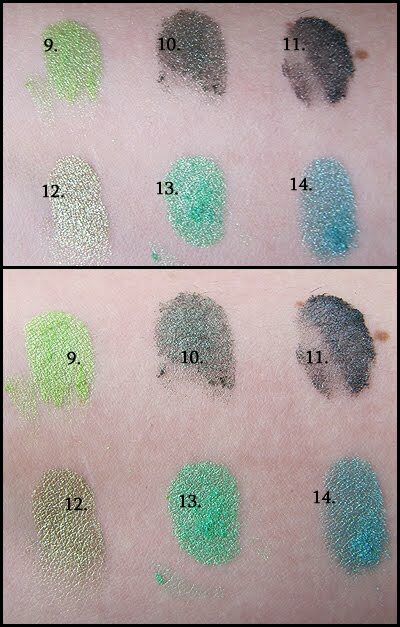 They're a bit expensive compared to other mineral eyeshadows, but are really pigmented! I'd recommend them to those who like strong makeup (and resistant!). And to those who like to try out new styles and can't find the right shades. I mean, I recommend them to practically EVERYONE, because everyone has the right to be pretty. Okay, I admit; a lime crime addict. EDIT: For those of you who find interest in the comparison between their eye shadows and other companies eye shadows, read here. Since this is my blog, I can honestly post whatever I want. If I once adored LC, now I am more realistic about it. I like the eyeshadows, but I wouldn't repurchase them. Not because of the price, but because I don't like being lied to, plus I don't really like sobbing sad videos. Blah!